It was a “joyful challenge” (for myself, at least) reading this. So much information here, and I’m sure many will resonate. For myself, it sheds some Light on what has been going on recently within myself, and within others I know (you know, that, “Stop focusing on and/or viewing all that ‘outer 3D outworkings stuff’ and take charge and take take care of Self (Higher Inner Self, that is))”. Fascinating reading, I found this article to be. “The purpose of this update is to provide clarifications of the Bubbles of Heaven article… the six phases of a phase transition will be explained in more detail. Each of those phases is a complete stage of a planetary Ascension process and is estimated to last somewhere between a few months to a few years. This is as close as you will ever get to an answer to your question “when will the Event happen?”, on this blog. “The first phase of phase transition is called Interface Evaporation phase. 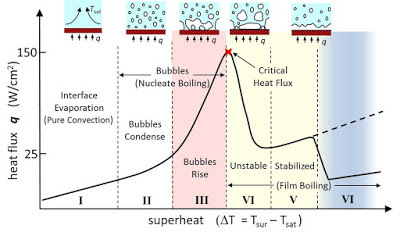 This phase started in 2012 and ended on January 21st, 2019… The second phase of phase transition is called Bubble Condensation phase. This phase started on January 21st, 2019 and is now ongoing. This phase means that enough thermal flux has been administered to the surface to allow pure phase transition from liquid water (matrix society) into water vapor (galactic society) in some extremely small and isolated areas on the surface. “During this phase, the Bubbles of Heaven get slowly and progressively larger with less entropy, whereas the surrounding matrix society gets progressively more unstable with more entropy. This is precisely the reason why some people are guided to put less attention to outer daily politicking and more attention to inner spiritual growth. 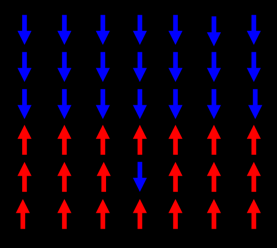 “The fifth phase is called Stable Film Boiling phase. Islands of Light on the surface of the planet become active conversion/inversion zones through which individual and group Ascension process is taking place… the surface population fully integrates new advanced technologies and is healed enough to accept the Light as a whole. “The sixth phase is called the Final Flash phase. Phase transition is complete. The Galactic Central Sun triggers the Solar event and the planetary polar shift… At that moment, the surface of the planet is hit by a tsunami which washes the planet clean. The only areas unaffected are Islands of Light, which are populated by advanced star beings, many of them being YOU. “You need to understand that what we have achieved on January 21st is huge. Bubbles of Heaven are the first signs of a totally new reality which belongs to the new cosmic cycle… Whenever you align with the Light, your life will be easier and easier. Whenever you focus on the old world falling apart, things get worse again. “Time now does not favor intel junkies. It favors people who take their life in their own hands. Whatever your life situation now is, you can turn it into something much better in a few years or less, if you really dedicatedly work on it, regardless of the timing of the Event. “The Pleiadians are actively monitoring, evaluating and encouraging the progress of awakening of the most aware part of the surface population, and sending detached but loving energy to everyone else… 30 minutes before our mass meditation, Semjase has arranged a “meteor flash” on the Moon… This was a certain signal from Semjase, meaning of which can not yet be revealed to the surface population… a few days later, GSSAP, the Geosynchronous Space Situational Awareness Program, has been forced to rearrange the orbits of its surveillance satellites as a response to the activity of the Pleiadian fleet. “The Resistance has communicated that all intel about toplet bombs is now deep black… that most people who volunteered for Entry Protocols are far from being ready, and certain “social dynamics” articles and workshops will be released to the surface population to increase preparedness. The purpose of this update is to provide clarifications of the Bubbles of Heaven article [link] to the surface population. Gallery | This entry was posted in ascension, energies, new energies, partners in contrast, releasing and tagged Bubbles of Heaven, Cobra, Portal 2012. Bookmark the permalink.